On 9 June 2015 I visited Alaminos again to interview Giorgios, who was born in Alaminos in 1948 and moved to Australia in 1974, just one month before the war began. His friends joked that he must have had inside knowledge about what was going to happen and that’s why he left! His father was born and lived in the Turkish side of the village, and had many Turkish Cypriot friends; many attended his wedding. His father’s attitudes towards the Turkish Cypriots influenced Giorgios. He had very good friends amongst the Turkish Cypriots in the village and as a 14-year old played in the mixed village soccer team; there was never any trouble. 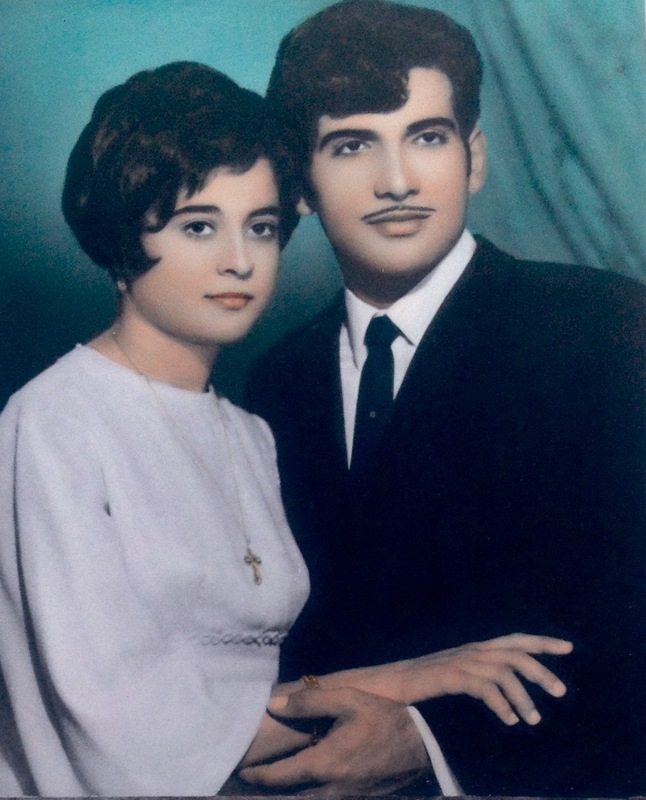 Turkish Cypriots came to his wedding in 1971, but not so many as went to his parents’ wedding; the presence of the Turkish Army camp near the village had introduced some tensions between the two groups. Giorgios’s father spoke and wrote Turkish very well. “I would have, too, if 1963 and 1974 did not happen.” He regrets not having the opportunity to learn Turkish properly. Turkish Cypriots were not supposed to eat pork. 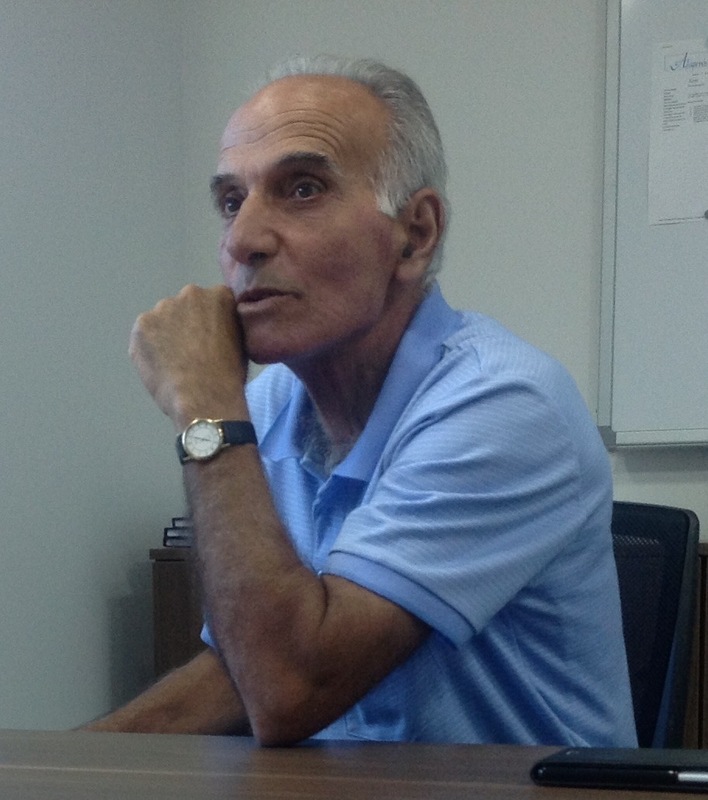 Giorgios used to work on his father’s farm with Turkish Cypriots, one of whom was his good friend. One day his mother prepared pilafi and pork for him to take as his lunch, and packed another portion for his friend. Giorgios said, “I can’t bring him pork!” His father laughed and said, “Don’t worry – he will eat the whole lot!” And he did! Giorgios remembered a particular Turkish Cypriot woman who lived opposite the church. “I think she was a believer.” One night she came to the priest’s house after midnight and woke him up. She had a strange feeling that something was wrong in the church. The priest went with her to inspect the church and they found that the flame of the oil lamp, that must never be extinguished, was out. It was clear to me from this story that the Turkish Cypriot woman was remembered by Giorgios with awe, as a godly person, not the “other” at all. After our interview, my parents and I were invited to attend the end of year production of the village primary school. 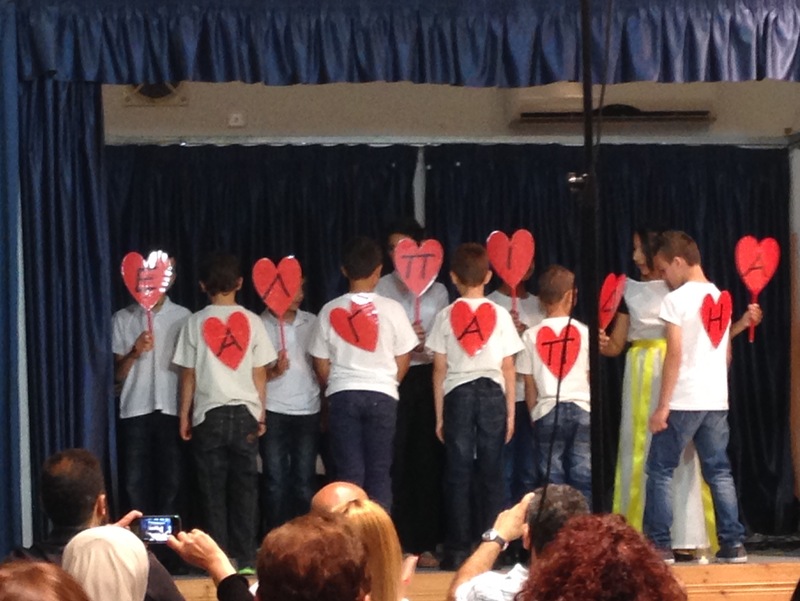 Several controversial sketches were performed by the children. In one, a man came home and asked his wife where was his dinner, why his shirt wasn’t ironed? She replied that she hadn’t had time, as the baby had been very difficult … “You’ve done nothing all day!” She handed him the vacuum cleaner and the baby and said, “You do it then, if it’s so easy!” and she left. In another, men in a restaurant ordered food, and when they were served, they complained, “It’s not what we ordered” and sent it back. When the waitress returned with different food, they complained, “It’s too cold” and sent it back. When she returned, they complained, “The serving is too small” … The fourth time they complained, the waitress threw the food over them! In another, a man came into a surgery and asked to see a doctor. “I am the doctor”, a woman said. “No! Women can’t be doctors!” Eventually she convinced him but when she wanted to examine him, he ran off. In another, a woman in a dress shop was not served because she was too fat. Children of Alaminos are grappling head-on with issues of discrimination and gender stereotypes. What a vibrant group! And now they are on summer holidays.